Jim Barstool 30 (9853) at Pure Design / Seating / Barstools ::: Furniture for the Home, Office, Home Office, and More at Pure Design Online! 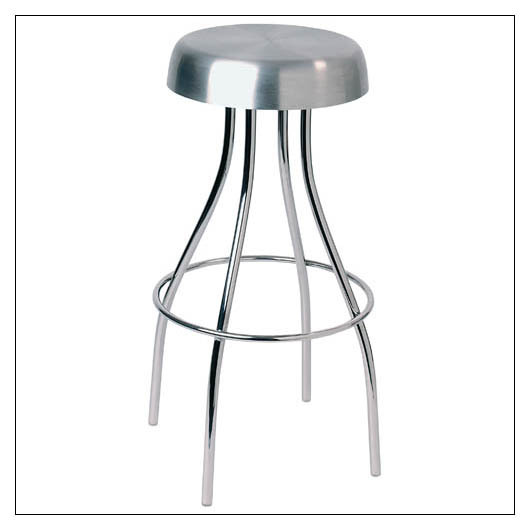 After a hard day the JIM Stool is a welcome sight for the eyes with it's sensually formed chrome legs and a welcome feel for the body with its brushed stainless press-molded seat. JIM 30" - sized for the chest-high bar - great for restaurants. 30h. JIM 24" - perfect for the home bar, or the kitchen counter. 24h.